When it comes to safety and dependability, Toyota is devoted to supplying you with a vehicle that you can always rely on. Because of this, proper vehicle maintenance is important to ensure your vehicle is safe. When you buy or lease a new Toyota from International Toyota, we include a no cost maintenance plan1 for two years or 25,000 miles, whichever one comes first. 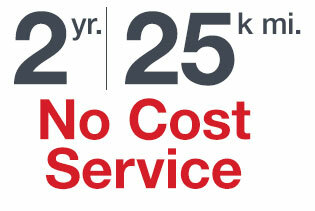 Regardless of your Toyota's mileage, 24-hour roadside assistance2 is also included for two years. When you visit our Sheboygan, WI, Toyota dealership, our reliable Toyota-trained technicians will help keep your vehicle in the best shape possible as well as keep a complete history of maintenance visits. In addition, all of us at International Toyota know how busy you can get, so we will deliver timely reminders to you before your scheduled maintenance. All of us at International Toyota encourage you to download the new Toyota Owners app. It is full of vehicle-specific information and also provides answers to some of your most asked questions. Designed to help enhance your Toyota ownership experience, this app will provide you with the information that you need to understand your Toyota. 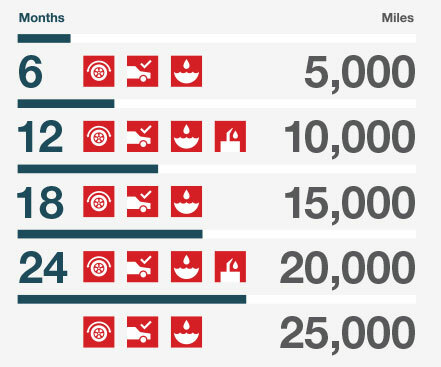 Created with you in mind, the ToyotaCare plan covers 5K, 10K, 15K, 20K and 25K factory-recommended maintenance1 visits for two years from the moment you purchased your Toyota or 25,000 miles, whichever comes first. Also included with this program is 24-hour roadside assistance2, which lasts for two years from the day you purchased your vehicle. You can trust International Toyota's factory-trained technicians to help keep your vehicle in optimum condition and help improve your Toyota's resale value by keeping a complete history of maintenance visits. You can now drive confidently with ToyotaCare because you are guaranteed to have reliable Toyota-trained technicians servicing your vehicle and making sure that it is running at its optimal performance. Additionally, when you visit our Sheboygan, WI, Toyota dealership or any other Toyota Service Center, we will keep a record of your service history and help you remember when it is time to get your vehicle serviced again. You'll also drive with confidence wherever you may go, knowing that you are covered with 24-hour roadside assistance. Here at International Toyota, we are proud to supply all of our customers with ToyotaCare when they purchase or lease a Toyota from our dealership. We take pride in offering some of the best customer service and repair in Manitowoc, Port Washington and West Bend. 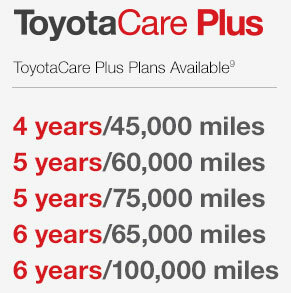 With ToyotaCare, you now have the peace of mind that you deserve.